Zwilling J.A. 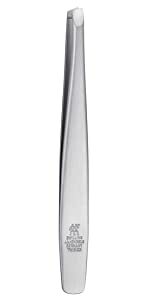 Henckels was founded in 1731 and is one of the oldest brands in the world. Based in Solingen, Germany, with a worldwide reputation for the highest quality and craftsmanship, the group has a presence in over 100 countries. Zwilling J.A. 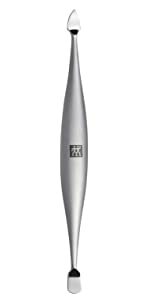 Henckels delivers the highest quality functioning tools required for personal care and prides itself on a tradition in quality materials, excellent workmanship, high functionality and durability with every tool sold. 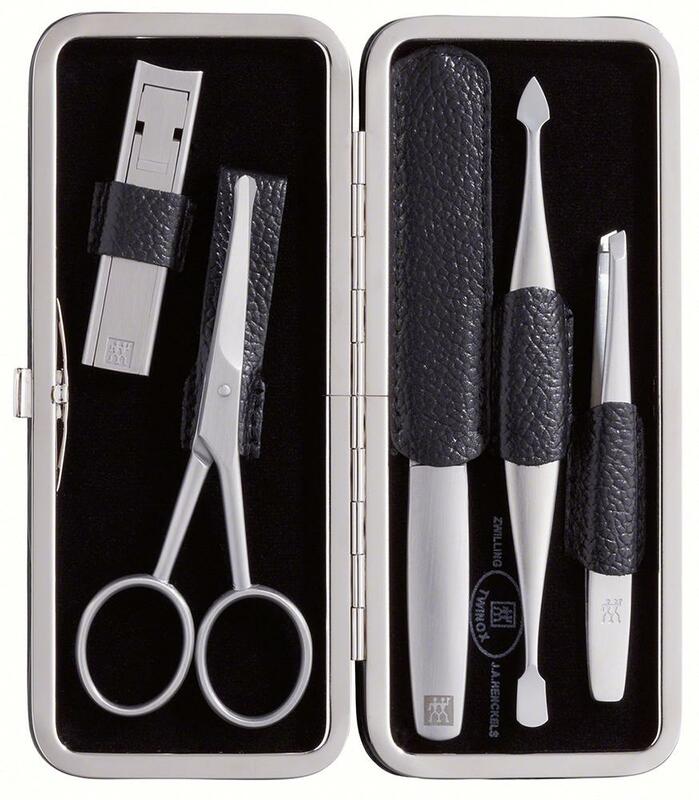 This five-piece luxury grooming set consists of quality precision grooming tools for head to toe personal care. Beautifully packaged in an elegantly textured leather case. This set comes in a giftable box with a printed sleeve. 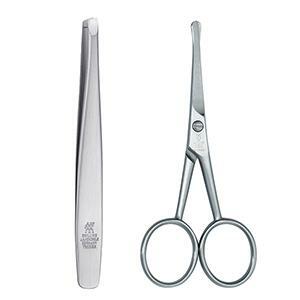 The angled tips of the Slant Tweezer are specially engineered for expert shaping brows. 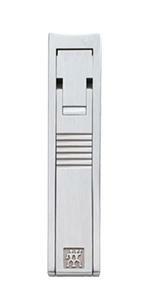 Made of premium stainless steel, the body is optimally balanced for comfort and control. 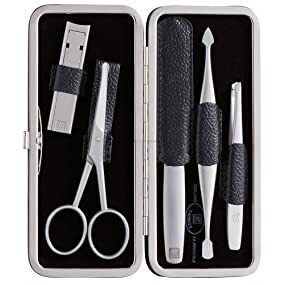 The sharp stainless steel blades of the Facial Hair Scissors are rounded at the tip for safely and precisely trimming beards and moustaches without nicking the skin. Perfectly balanced for added control and ease of use. 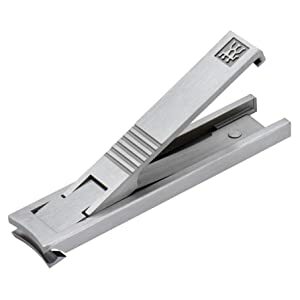 This award winning, folding Twin S Nail Clipper is famous for innovative design and excellent precision. 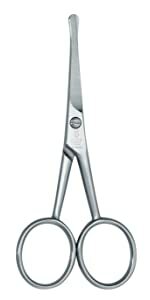 Features a luxurious satin finish in premium quality stainless steel with ultra-sharp, curved cutting edges. 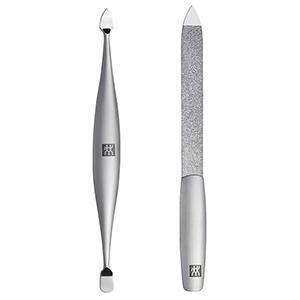 Use one end of this top quality Nail Cleaner and Cuticle Pusher to gently remove dirt effectively from under edges of nails, and the other end to push back softened cuticles. 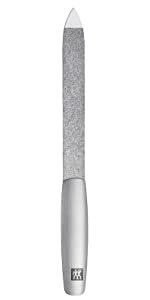 The Sapphire Finish Nail File keeps hands neat and well groomed, as it is specially designed to gently shape and seal nail edges with flawless precision.